UA Little Rock has partnered with the Department of Military Science and Leadership at the University of Central Arkansas. Registering for these classes is no different than registering for any other UA Little Rock class. Successfully completing these classes is required for you to be considered for the ROTC scholarships. Whether you’re a college-bound high school student or already attending a college or university, Army ROTC provides students with the chance to compete for scholarships. Scholarships are awarded based on a student’s merit and grades, not financial need. Two, three, and four-year scholarship options based on the time remaining to complete your degree. This allowance is also available to all non-scholarship Cadets contracted in the Army ROTC Advanced Course. All scholarships applicants must understand that branching Active Duty is not guaranteed. Assignments are based on the needs of the Army. Scholarship cadets may be branched into the U.S. Army Reserve or Army National Guard. A strong desire and will to successfully complete the Military Science program can overcome shortfalls in any of the above-listed attributes. If a student has already decided on becoming a National Guardsmen, or Reservist, there are special programs in place for furthering their education. One of the scholarships the Reserve Officers Training Corps has in place, among several other benefits, is the Minuteman Scholarship. The Minuteman Scholarship allows high school and college students to receive full tuition or $10,000 in room and board in return for a service commitment. If you are interested in receiving an Army Reserve Officer Training Corps (ROTC) scholarship and commissioning into the Army Reserve, the Minuteman Scholarship provides you an excellent opportunity. 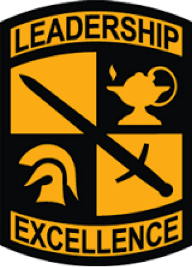 Minuteman Scholarships cover 4 years of full tuition and fees or $10,000 for room and board at colleges and universities served by an Army ROTC program. Scholarship recipients also receive a monthly stipend of $300 to $500, and a yearly book allowance of $1,200. In addition, Minuteman Scholarship recipients participate in the Simultaneous Membership Program, which gives them experience with an Army Reserve unit while earning additional money for their service. To get started, high school seniors should contact the Professor of Military Science or Recruiting Operations Officer at the Army ROTC program that serves their college or university.